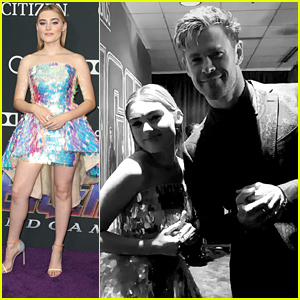 Andrew Taggart Photos, News, and Videos | Just Jared Jr.
Victoria Justice, Kelsea Ballerini, and Chloe Lukasiak team up for the 2019 amfAR New York Gala! The Eye Candy star, the “Miss Me More” crooner, and the dancer all stunned in black dresses at the event held at Cipriani Wall Street on Wednesday (February 6) in New York City. Grace is wearing Sonia Rykiel. 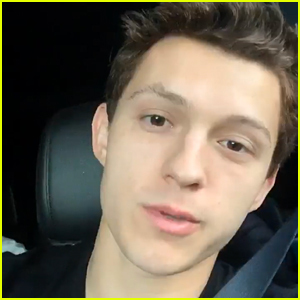 They were joined by The Chainsmokers, Lucky Blue Smith, Nina Agdal, Lais Ribeiro, Elsa Hosk, Karen Elson, Michelle Rodriguez, Grace Elizabeth, Emily DiDonato, Kate Bock, and Parson James. FYI: Victoria is wearing Nedo with APM Monaco jewelry. Kelsea is wearing Galia Lahav with Beladora jewelry. Chloe is wearing Galia Lahav with Sam Edelman shoes. Nina is wearing Gustavo Cadile. Lais is wearing Vitor Zerbinato with Giuseppe Zanotti shoes and Chopard jewelry. The Chainsmokers are wearing Beladora accessories. 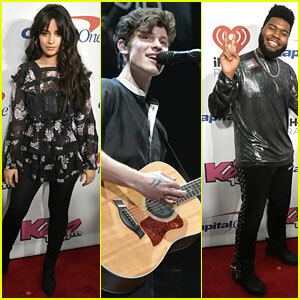 Camila Cabello looks gorgeous as always at KISS 108′s 2018 Jingle Ball! The “Havana” crooner hit the red carpet at the event held at TD Garden on Tuesday (December 4) in Boston. She was joined by Shawn Mendes, Khalid, Meghan Trainor and Daryl Sabara – wearing matching “Wifey” and “Hubby” holiday sweaters – Monsta X, G-Eazy, The Chainsmokers, Bazzi, and Marc E. Bassy. ICYMI, Camila recently got us even more excited for her sophomore album. Lauren Jauregui joins her friend Halsey on stage for a performance of their song “Strangers” at 102.7 KIIS FM’s 2017 Jingle Ball presented by Capital One on Friday night (December 1) at The Forum in Inglewood, Calif. The Fifth Harmony singer was not on the lineup, so she was a fun surprise for the crowd! Some of the other performers included Niall Horan, Liam Payne, Sam Smith, Logic, and The Chainsmokers. FYI: Demi is wearing a Frolov outfit and Giuseppe Zanotti shoes. Halsey is wearing PrettyLittleThing by Kourtney Kardashian bike shorts on stage. She’s wearing an Off-White outfit on the carpet. Lauren is wearing a Meshki skirt. Liam Payne and Camila Cabello snapped a cute pic together at 106.1 KISS FM’s 2017 Jingle Ball! The “Strip That Down” singer and the “Havana” crooner stepped out for the event, presented by Capital One, at American Airlines Center on Tuesday (November 28) in Dallas, Tex. 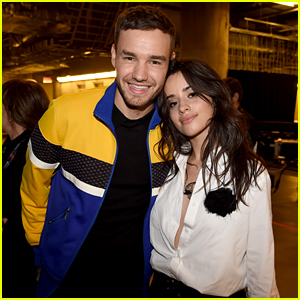 Liam wore a yellow and blue jacket, and Camila rocked a partly unbuttoned white blouse with a furry detail. They were joined by Niall Horan, Hailee Steinfeld, Kesha, Charlie Puth, Why Don’t We, and The Chainsmokers. The group was interviewed by several different radio personalities on the red carpet. Check out performance pics here if you missed them! FYI: Hailee is wearing a David Koma dress and Zvelle shoes. K-Pop Group BTS & The Chainsmokers Did a Song Together Called 'Best Of Me'! The A.R.M.Y. 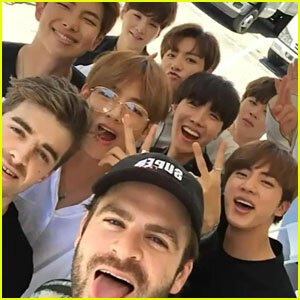 probably didn’t see this one coming: BTS and The Chainsmokers are officially working together! The American electronic duo and the South Korean boy band did a song together called “Best of Me,” and it’s going to be featured on the upcoming BTS album, Love Yourself: Her. The K-pop group’s agency, Big Hit Entertainment, confirmed the awesome news on their Twitter on Sunday night (September 10). The song is described as an EDM track, and will reportedly feature Andrew Taggart and the rap line members of BTS. 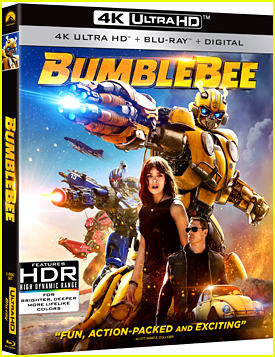 We can’t wait to hear it! Love Yourself: Her will be released on September 18.